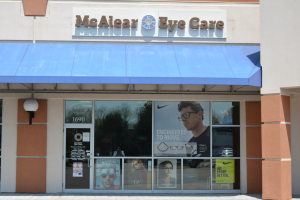 McAlear Eye Care is conveniently located at 1690 Main St. in Weymouth, MA. Our office is open two evenings each week and every Saturday. We are also proud to offer our services to the residents of Abington and Rockland. Please call us at 781-331-4004 to make an appointment with Dr. McAlear, or schedule an appointment using our online system. 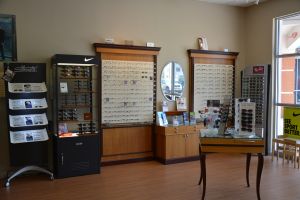 Drop in anytime to browse through our large selection of designer eyeglass frames or sunglasses, or to have you current eyeglass prescription filled. 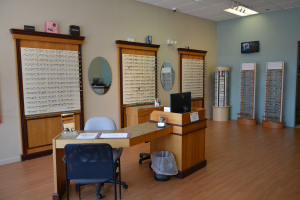 The trusted optometrists at McAlear Eye Care, serving South Weymouth, Abington and Rockland.